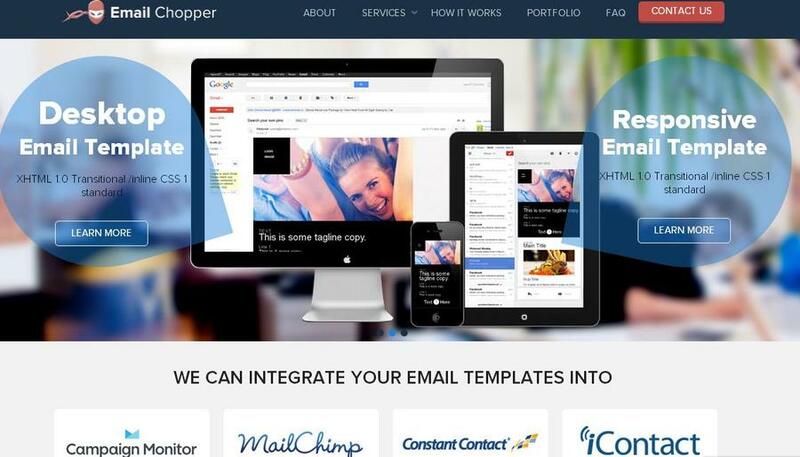 Email Chopper is a PSD to Email Conversion company, offering email templates design, conversion & integration service worldwide. Email Chopper is a well established & reliable company for PSD to Email Conversion. It will integrate your email templates into Mail Chimp, Campaign Monitor, Constant Contact and iContact with the help of professionals. It also provides PSD to HTML Email, E-Mail templates integration, Responsive Email Templates Conversion & Design, Desktop Email Template conversion & Design service in all the major countries.